Welcome to Adelaide for the 2019 Australian Open Golf Tournament (with Handicap sidepot). Clouds and rain are on the forecast. Hopefully we all remembered to bring our waterproof laptops and mouses. Play will be underway soon. Take your last few practice swings, roll a few putts to gauge the green speed, and head on over to the first tee. Group one will be teeing off in a few hours. Monday Tee Times Set. Any late entries will be added to the existing groups as needed. Day one is live! All groups are on the course. Rumor has it wine, beer and spirits are to be had somewhere on the premises... Maybe for the non-drinkers some of the locals can prepare some Australian cuisine for us ;). I'm hungry after that flight. Good luck everyone! Tuesday Tee Times set. Should go off more or less on time. Day two groups are on course. The leaderboard should start to take shape today, though as for the handicap one, no clue what's gonna happen there. Good luck today everyone, looks like it may get a bit wet today so make sure your caddie knows how to hold an umbrella. Gorgeous weather! Day 3 Live. Round 3 finished. Leaderboards updated. Final round groups posted. *The Handicap was based off of a mix of 2018 decathlon statistics and golf tournament results. For this portion of the tournament, players will start off with their full handicap advantage. The Scottish game has been around since at least the middle ages. Golf is a unique game. The playing field is unset. Can be played at all ages. The mental side is key. Luck is a huge factor. Factacular Golf will try to emulate these characteristics. For trial purposes, we will use a stroke play format (pairs best-ball and team scrambles can also be used in the future, pending successful trial). Signed up players will be separated into groups of 3 or 4 depending on turnout. 18 holes will be played over the course of 4 days. A hole will consist of a random 10 question brainoff. Groups will be random. Here is where the luck element comes in: just like real golf, some groups will get perfect conditions (read: easy brainoff), others will be playing in wind, and getting all the bad bounces. In stroke play format, score is calculated against par (expected number of shots taken per hole) cumulatively over a round of 18 holes. Player A scores 501, and gets a Bogey. Player B scores 998, and gets the same score as player A, Bogey. Player C scores 2500, and gets a Condor. After Hole 1, player C is ahead of player A and B by 5 strokes each. Scorecard will be kept by tournament organiser. Each players score against par will be tallied over the 18 holes, with the lowest being named the winner. In case of a tie at the top, sudden death holes will be played until a winner is declared. Golfers will have 24 hours to complete each day’s “round” of 4-5 brainoffs. 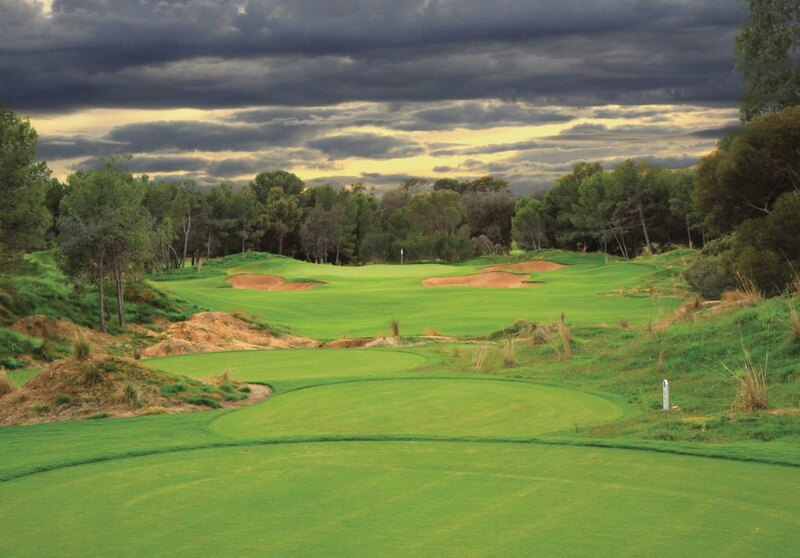 Penalties (+5) will be assessed to the scorecard for each hole not completed in time. Rebrainoffs will not be sent. Brainoffs will be sent as 48 hour brainoffs, but will expire in 24 hours. If the site hiccups, time will be extended as long as necessary up to the 48 hour limit. Scores will be kept against par, not the factacular scoring. Refer to scorecards in tournament thread for all scores. *these rules apply to stroke play format. They are subject to be tweaked if we run a Pairs Best Ball or Team Scramble in the future. Morning players are starting to show up in the clubhouse after their rounds! Early leaders in the straight up tournament: Chooky and myself with starts of all birdies. JMK and Seve are one behind with an eagle each, and Java is two back with a pair of birdies of her own. Sally has moved into the lead in the handicap tournament, starting her round under par to just edge in front of Phil & Helen. Have no idea what will happen in that tournament. Either someone will play above their average and take it, or Nemesis will slowly climb up and pass us each one by one as the days go by. Either way it will be interesting to watch the leaderboards! Good luck to the afternoon players, round two groups will be randomized in a bit. I think Nem heard me ;). Ridiculous start to the tournament for him, averaging an eagle a hole to end day 1 at eight under par. Better start running if you want to stay ahead of him in the Handicap pot! He's already almost caught up to me, and I had an 8 stroke advantage. I've said this before - Quiz is amazing in this format. His putting is so clutch! He moved way up the Handicap board today with his six under par opening round; which also places him 2nd so far in the straight up tourney. Still a few left to play and late flights coming in. Day two groups up soon. I could use some whiskey @Bryn Middleton. You still keeping that bottle under close supervision? After early morning play, I'm in the lead after holing out from the fairway bunker to join the condor club. JMK and Shortbread are tied for second in the clubhouse, though they took opposite paths to get there. Shorty strung together a solid string of birdies, while JMK got nearly every score possible on her scorecard, before sipping some wine after hole 8, then proceeding to stroke a beautiful 100 foot putt from off the green straight into the bottom of the cup for a condor of her own. Sally in on the course working on her lead in the Handicap tournament. Think she may add a stroke or two of distance between herself & the field depending on how her front 9 finishes up. Round of the day so far for Bryn. He started off with a condor, and had nothing worse than birdie after that. After today's round (Eight under par over five holes) he is positioned nicely on both leaderboards going into the weekend. His playing partner Bertie finished the front nine with a flurry of birdies to tie JMK and Shortbread for 3rd at the moment. Still a lot of play to come! LOL I keep mixing up the albatrosses and condors. Turns out all of us with (-3) holes have been getting albatrosses. Because the first real CONDOR of the tournament (perfect score) belongs to Nemesis, who capped his fantastic front nine with a 2500 (-4) on the 9th hole to make the turn at sixteen under par. Anyone still ahead of him in the handicap - RUN! Apologies for the tardy update. Tuesdays are a bit rough. Nemesis & Bryn both were -8 today and both won all 5 of their holes. First two to ever run a 5-hole day, amazing job. Special mention to my playing partners JMK, Vepa, and Sally. After a rough couple of holes, we all made the turn having eagled or better the 9th hole. First group to achieve this on a hole :). Nemesis remains atop the leaderboard. Many are positioned to fight for the podium places, and maybe give him a run with the right holes. In the handicap tourney, Sally maintains her lead while Phil has snuck into second over Helen. I think we're all still in contention for this one, though moving day may change that... Good luck everybody on the "weekend", day three holes will be sent soon :). Moving day is upon us, and what a glorious day it is. My reality may be SNOW SNOW SNOW but my fantasy is fully AUSSIE AUSSIE AUSSIE. The weather on the course is absolutely perfect for a few holes of golf! I missed a couple of putts today, but it was nice to feel the sun. 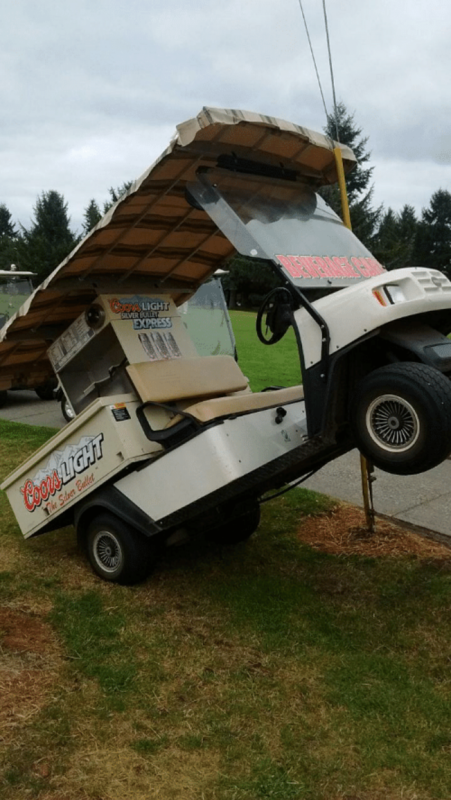 Now where is that beer cart? I think the snow, freezing rain and ice covered everything must have affected me yesterday. A person cringes upon hearing tree branches fall and shatter all night and day. But today it's just snow and then freezing rain. Folks, we have a shootout on our hands. After morning play, there is a dead heat in the Handicap Tourney, with Sally, Bryn, Tallyho, and Phil all tied at the top. There are a few (Helen, JMK, Java & Lindy) who could move into the front with well played holes today. I fell asleep and left the milk on the kitchen counter, woke up hours later and poured myself a frigid unrefrigerated glass. Had my hands full going down the icy steps, thought to myself "I'm going to fall", proceeded to biff it royally, bounced down the entire flight thinking "this is it" only to land in a pile of soft snow, coccyx intact if not my pride. Nemesis still leads, at -20 after 13 holes. Wild scoring as usual from Nem! Ruby, Quiz and myself are all tied for a distant second, 5 back at -15. Seve and Bryn have been on fire after rough starts. Chooky had the round of the day (-6) over four holes. They round out the top 7. Someone will have to go lights out tomorrow to catch Nemesis, but I think anyone could still end up in the top 10 with good holes tomorrow. ​This leaderboard is so interesting to me. JMK and Helen, who sit at -28. Java and Phil are both within 3 strokes of the lead as well. Lurking rather ominously 4 strokes back is Quiz3000. His leaderboard is already littered with eagles and albatrosses galore. Lindy is 5 back at -24. Then we have a large clump of golfers around -20. These are all golfers capable of going very low on Sunday. I don't think anyone winning would surprise me at this point. It will likely come down to someone making a big putt on the final green, which was my goal with this thing. As this is only a 4 day tournament, in case of ties (for first place only, in either tournament) sudden death playoff holes will be sent until a winner is chosen. Golf scoring, straight up (no further handicapping) will be used in these playoff holes. Well I have certainly taken myself out of the running in both comps with my play today. Time to ride this beer cart along and see who has the hot hand on the final day of play. Helen, let's circle back to the clubhouse and stock this cart to the brim. I have found Helen on the beer cart, she seems to have picked up some friends. I must say, some significant improments have been made on our original cart, well done Helen. 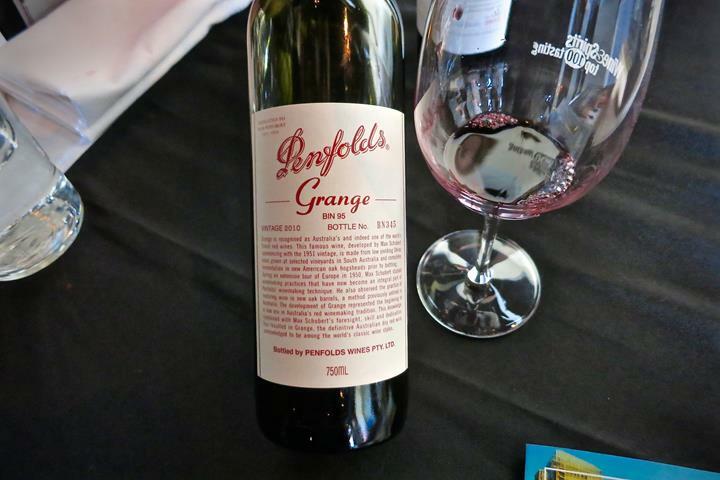 I have two bottles of grange that really need to be drunk soon. One is earmarked for when our house sale goes through and the other is for the day we give up work and officially retire. And also, congratulations on your fine finish! Ended your round under par, and more importantly... Going into the final two holes, Sally was two behind clubhouse leader JMK. Well, Sally match JMK's finishing birdies. Now we are tied at the top of the leaderboard, with Sally & JMK leading. We have a new leader, in both comps. Bryn started his round scrambling for pars. After an albatross on the 5th, he hasn't looked back, posting, frankly, Nemesis-like numbers since then. Another eagle and albatross today leave him at -36 for the handicap. I thought anything about -30 would be tough to beat, so somebody is going to have to have some great finishing holes to challenge that number. Well done. JMK & Sally remain well positioned tied for 2nd place. Bryn is tied with me for the clubhouse lead in the stroke play, although we are behind leader Nemesis who is yet to take the course for his final round. Looks like you've got some great milestones and delicious wines in your near future, that's awesome. Maybe a second place finish in the tourney, depending on the afternoon players. Two eagles in the final round for Shortbread, who moves into 2nd in the stroke play in the clubhouse. The hot group today is Ruby, Tazing, Shorty & Nemesis. Nemesis still finishing up, which could spell trouble for those at the top of the handicap board. Speaking of Ruby, with three eagles today she has catapulted to the top of the stroke play leaderboard. Nemesis is going to have to at least make some birdies to catch her. Well done Ruby. She also joins Tally - who had a great finish of her own - one behind JMK & Sally in the Handicap tourney. Seve continued his great back 9 to join Bryn and myself in 2nd place (at the moment) in the clubhouse. Have I said this before? A.J. Macdonell's 'England Their England' is famed for the chapter on cricket, but I love the golf chapter, it sums up my befuddlement with golf language and convention. And the befuddlement was before I broke dry February (it's shorter than January) at the nineteenth. The beer cart is now restocked with nice cold lagers awaiting tired thirsty golfers and cart drivers lol. Loving the new look of my cart with room for everyone to hop on board between holes. See you on the green! Ok Helen. I will have to resend you two holes. Bertie - let me know if you have trouble playing your holes. Everyone else is in. I was wondering what was going on with those holes, Helen. Resending now. Will have the full leaderboard and final updates/awards after I figure out that group who seemed to be playing holes with no flags at the end ;). Nemesis made it to -29 to take the title. Amazing round! Neartly half his holes were eagles or better. I believe this is the 2nd highest golf round ever (first being Nem as well). Great tourney. Ruby Franks had a phenomenal last day. She entered day 4 in a 3-way tie for 2nd and blew us all out of the water (working on the dirty words ;) ) to finish in solo second at -23. Ruby managed to keep pace with Nem on the back 9, an amazing accomplishment. Quiz's strategy of aggressive play worked out for him again, multiple albatrosses and eagles catapulted him to third place, at -20. Another amazing golf round! Always fun watching his scores come in. Quiz takes dead aim at the pins. Three tied for 4th: Seve, Bryn & myself. Seve & Bryn were at the bottom of the table after the first few holes, but played amazingly after that to fly up the leaderboard. I had a great front 9, but driver deserted me completely, and is no longer a whole instrument. We all finished one stroke behing Quiz, at -19. Chooky finished in 5th with a great back 9, once the sun came out she clucked along as well as anybody. Shorty and Vepa finished tied for sixth. They made the best of very tough sets of holes and did well to finish at -11. Shorty was definitely the most hilarious golfer this time, his commentary made it quite enjoyable to be a scorekeeper. Both of these players nearly had Garcia moments on the course but pulled it together in the end. JMK had a crazy front nine, with nearly every golf score possible. After a double bogey, Sally showed up with some home-grown red... JMK had a sip, proceeded to albatross the next hole, and didn't look back from that point, with only birdies and pars on the back. Tallyho finished in 8th with a wonderful string of 6 birdies in a row around the turn. Great round! Bertie was in last after 2 holes in the rain, then flipped the switch with 5 birdies in a row. Makes sense that a girl named Bertie would be racking up the birdies in this format. Another great tourney for her. Rounding out the top ten was Tazing. Tazing's flight landed as play was already underway. Playing sleepless and jetlagged and without a single practice swing, Tazing set a record with 8 pars to start. After a good night sleep going into the weekend, Tazing lit up the course with birdies left and right to end up in tenth position. Bryn broke the curve, playing well above his average to end up at -36. Bryn was about 15 strokes behind after the first four holes, and ended up winning by 5. Incredible 20 stroke swing for him after a rough start! Great tournament for him, and well deserved victory. JMK & Sally ended up tied for 2nd place at -31. Both had great rounds. Sally was almost a wire to wire winner, leading in the clubhouse after each of the first three days. Sally had an extremely tough set of holes on the back 9, and did well to maintain her lead. JMK finished like a lion, with birdies on the last three holes to end up tied with Sally. Were it not for Bryn's amazing play, it may have come down to sudden death between these two. Tallyho, Quiz, and Ruby all ended up tied for third, one stroke behind 2nd at -30. I thought anything -30 or above had a good chance of winning this, so all three had great rounds to end up at this score. Well done on the podium finish. Nemesis could very well have won both competitions, though 1st and 4th ain't bad. Nem had a tough day three, but other than that he was pretty much flawless. Well done on ending up 4th after starting off with by far the biggest handicap. I finished sixth, put myself into contention, but faded a bit late. Tied for seventh were Chooky and Java. Java's one word comments did the best of capturing golf at its wonderful, infuriating essence. Good tourney, ladies. Shorty and Tazing finished in 8th. Well done. Solid play in tough conditions for these two. Lindy, Phil and Bertie tied for 9th. Good tourney. Unlucky holes for these three this time! Surely next time the winds will blow in their favor. Vepa rounded things out at 10th, and will surely be out for revenge next time. I would say this but I really like this tournament and the handicap was good fun. I would perhaps suggest that the tournament organiser might want to go a bit easier on himself if he runs the handicap again, though. Running and playing the thing probably knocks a stroke or two off your total over the course of four days! As ever, immaculate organisational game, BB. Many thanks. One last thing, in case it doesn't get said enough....truly awesome game Nemesis. I think it's really great that you're leading the way and showing us all what's possible and setting such a high bar. I doubt I'll ever reach that bar, I'd get dizzy, but I THINK I can at least see it. BB, thanks very very much for a great tournament and equally great summary. Congratulations all. @Helen LMAO I wasn't accusing you, just insinuating that one of your competitors may have been magnetizing your golf balls... Which I also don't believe. Truthfully, sometimes the brainoffs are just uncooperative. Especially when I am sending so many out there. As a complete non-golfer that was the most fun I've had on a tourney, certainly got my brain cells really thinking. Here's to next one BB. I agree quiz - spent my childhood with other kids dragging after our fathers on various golf courses being sent to pick up errant balls and, on one particular course in The Gambia, avoiding the huge snake on hole 5. Our mothers stayed back at the club house. That was fun. Congrats to the winners and big thanks to BB for running this one.